If Marvin Gaye was still alive and collaborating with Massive Attack, this dark and sensual track could well be the outcome. ‘The deeper you go, the funkier it gets’ intones a honey-throated Barry Adamson, over a fantastically dark soul backdrop which deploys some extremely stirring strings and a bunch of What’s Going On-style female vocal harmonies. Adamson’s own ‘Trojan Extended Pleasure’ remix (credited to The Pimp Floyd just to increase the Carry On vibe) kicks out the soul groove in favour of a dub-style makeover, seeing elements faded in and out sharply, echoes and all manner of King Tubby homages riding over a thick and filthy reggae beat. CD B-side ‘First Light’ is a fast-paced rock meets jazz surprise – fuzzy guitars, saxophone and horns that wouldn’t have been out of place on a Bruce Forsyth Saturday evening show theme. It’s a joyous, uplifting track featuring a spoken word sample from The Foundation For Inner Peace and Foundation for a Course in Miracles. First published 2003 / re-edited 2014. Oddly enough, this was the first thing I ever bought from eBay. What’s more, just like I always used to at record fairs, I paid well over the odds. Still, despite feeling out of pocket, I have to say it was well worth it. 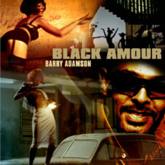 Isolated from their position within an album, Barry Adamson‘s early singles felt a bit lost. Not so with this track, which works well on its own despite being an integral part of The King Of Nothing Hill‘s narrative. It’s sleazy, funky in a maudlin seventies soundtrack stylee, features a stunning Cypress Hill sample and guitars which could have been culled from Portishead’s Dummy. Here Adamson is a unwilling assassin driven to kill by love, deploying some decent word-play on the chorus – ‘five bullets, five names / and a contract worth five hundred grand‘. With some soaring strings and chilling organ lines from Adamson collaborator stalwart Nick Plytas, this is among Adamson’s most atmospheric work, while his vocal was his most assured to date. Mixes come from AIM, who strip out some of the soul and atmosphere to create a spindly groove, and Funkstörung. The latter is a electronic cut-up, deploying small vocal snippets over a quirky beat; it also teatures an organ groove reminiscent of Stevie Wonder’s ‘Superstition’. First published 2003; re-edited 2014. 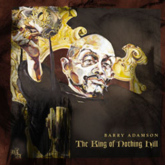 The King Of Nothing Hill comes with a title bearing Barry Adamson‘s hallmark sense of humour, and was his most accomplished and complete work by this point. Draped regally in a red, black and gold digipack robe, Adamson is here cast as the king of an absent kingdom, although the photo on the inside of the sleeve seems to be more Isaac Hayes than anything else. In fact, Isaac Hayes is not a bad initial reference point for this album, which finds Adamson more soulful than before while still drawing together the beloved subjects of his soundworld kingdom – jazz, spooky soundtrack melodrama and electronic textures, and overall the sound is more dense and deep than on previous albums. The King Of Nothing Hill is an impressive ten-track album that perfectly complements its creator’s earlier works, but somehow takes things further. 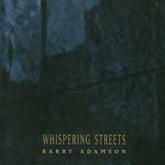 If an artist working with electronic composition tools can have their influences identified by the samples he chooses, the Adamson’s preferences are crystal clear – a sample of jazz legends John Coltrane and Archie Shepp appears on ‘Le Matin Des Noire’, while a clever Cypress Hill section is to be found on ‘Whispering Streets’. Tracks like the opener, ‘Cinematic Soul’ are good examples of how Adamson is able to draw together disparate musical strands without appearing crass or creating some sort of kitsch, disposable fusion; ‘Cinematic Soul’ begins with a developing bed of electronic sounds, bleeps, beats and wah-wah guitar before launching into a loud, Stax-inspired funk soul anthem that reinforces the Hayes comparison. ‘Can I sing along to ‘Cinematic Soul’?‘ his young heir Theo asks. ‘Of course you can, son…What is a song if you can’t sing along?‘ the King replies, and the two duet humorously on the final chorus. ‘This is the stone groove I’ve been dying to rock with all my life,‘ sings the King, and his decree may well be right – it really does sound like the work of a musical monarch at the height of his supremacy. Skipping past the singles ‘Whispering Streets’ and ‘Black Amour’, the divinely-appointed Ruler of Moss-side, that most impossible of kingdoms, leads us to ‘When Darkness Calls’, which begins with some heavy dub beats and double-tracked vocals; sludgy guitar riffs and intense atmospheres create a dark sub-rock take on Nitzer Ebb‘s final utterances. ‘Down, down, down…‘ our leader intones, taking us to whichever black hinterland he chooses. ‘The Second Stain’ is a carefully-honed and programmed avant-jazz epic, built upon subtle layers of electronic percussion, droning basstones, piano and organ. Constantly-shifting atmospheres move this instrumental work into desolate sonic wastelands, evoking the dream sequences of Brad Pitt in Tom di Cillo’s Johnny Suede. The Pimp King’s vocal abilities are most prevalent on ‘Twisted Smile’, with a sixties-style chorus nearly whispered over an incredibly-detailed musical accompaniment that is almost not there at all, coming as it does from the distance. Woeful regret and longing themes show our ruler to be weary, deposed, forgotten; his empire shrinking like the departing echoes of the final chorus; becoming transparent, making his way to the top of Nothing Hill. ‘Le Matin Des Noire’ finds Adamson wandering the sodden streets of Paris at three in the morning, the memories of vibes and brushed cymbals playing around his head. At over ten minutes, the track is the most soundtrack-esque of this collection, and if you think hard enough you can almost see the rain, the raincoats and the trilby hats of a Len Deighton novel as conceived by Alfred Hitchcock. Euphoric horns and lazy beats herald ‘That Fool Was Me’, for all intents and purposes a classic love song dealing with regret and loss. The strolling brass section sounds like a New Orleans funeral procession, while Adamson reveals a hidden, treacly warmth to his vocals. ‘The Crime Scene’ lifts the pace, throwing together spiralling Bernard Herrmann-esque discordant improvised strings and a rolling drum and bass rhythm, to which Adamson’s brand of sub-bass is surprisingly well-suited; some John Barry guitar and a palette of sirens, gunshots and a general clamorous sonic bed gives this an air of criminal menace. An instrumental, our King – now less than a figurehead – rides around the streets of his shrinking kingdom and watches the disarray the democracy that deposed him has created. The album closes with ‘Cold Comfort’, an acoustic ballad over tinkly keys and subtle metronomic percussion, that shows Adamson’s tender side, returning once again to themes of loss and longing. Memories of earlier glories, the mistakes that contributed to his downfall, the track closes with some horn lines that are truly uplifting. 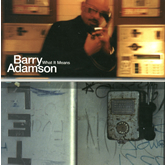 ‘What It Means’ is a perfect Barry Adamson track, and certainly one of the most complete of his tracks to have been released in the single format. It’s quite a thrilling ride, a suite of electronically-enhanced high-speed verses over which Adamson delivers a harsh and harmonious vocal, backed by springy synth noises and a bold, stalking bassline. The vibe is cast in a jazz mould, and on the chorus the track opens out into a horn and organ groove blessed by a great drum section from Andrew Crisp, with some ebulliant, Andy Williams crooning by Barry. Skylab exploit the jazzy vibe and create a loose arrangement across their two mixes. They break the track apart to create what could pass as a live improv jam, introducing Adamson’s vocal on their second, amusingly-titled ‘Skylab A Smokin’ Japanese We’re Chicken in Moss Side’ mix. Renegade Soundwave survivor Danny Briottet returns to the fold to team up with stalwart Mute producer Paul ‘PK’ Kendall on his ‘Subsonic Legacy Master’ mix. A jazzy two-step variant, Briottet adds some dub echoes and a killer sub-bassline to create a superb electro-dub counterweight to the bebop sounds elsewhere on the disc. 2014 was a year where I probably wrote more than any other year, but hardly any of it was for the Documentary Evidence site that began my journey into music writing over a decade ago. The year saw me start what turned out to be a slow and not exactly fun process of moving content from my original site to a new WordPress home, a process which will have to accelerate soon given that all of my archive writing for DocEv is now offline. Since then I’ve delivered a number of pieces for the magazine, culminating in a major feature on Simian Mobile Disco in the summer. It’s an absolute honour and privilege to be working for Electronic Sound. The magazine’s team includes two people who undoubtedly shaped my interest in music writing back when I read Muzik as a teenager, back when I had no aspirations toward writing at all. Through their guidance I’ve become a better writer. I’ve also learned the value of full stops again. I also started going to concerts and writing live reviews again this year. I reviewed Laibach, Nik Kershaw and Erasure for This is Not Retro (all with typically brilliant photos by Andy Sturmey), as well as a clutch of gigs at my closest music venue, The Stables, for a local Milton Keynes site (TotalMK) – Dylan Howe (my first jazz piece), Tom Baxter and Martha Wainwright. 2014 saw me write the least I ever have in the last five years about Mute releases. I covered the latest Cabaret Voltaire compilation, Erasure’s The Violet Flame and the Plastikman live album for Electronic Sound, Liars‘ Mess for Feeder and a couple of albums for my own Documentary Evidence site, but on the whole I’ve largely ignored Mute releases this year. Partly this is because I’ve been busy with other music writing, and partly it’s because I have struggled to keep up with the sheer volume of albums that the label have issued this year. Critics are afforded the opportunity at the year end to come up with their favourite album of the year and so I feel justified in doing the same. 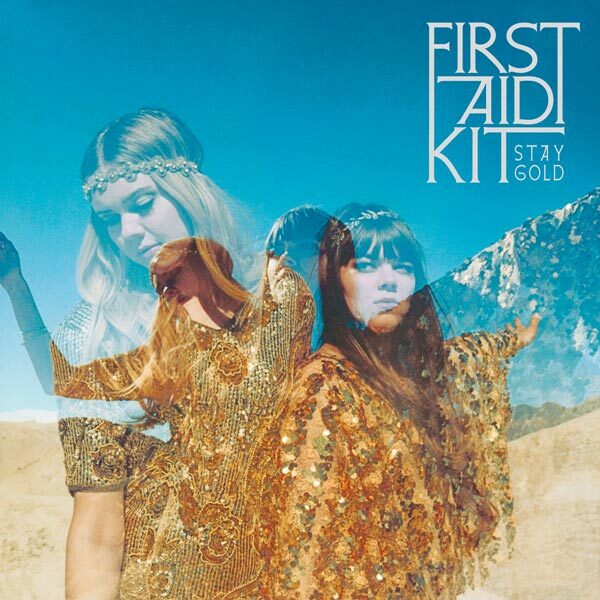 Head and shoulders above everything else, for this writer it was Stay Gold by First Aid Kit. As is so often the case with the albums that capture your imagination the most, this was an album that I was hardly interested in when I read the press release. I came back from a three and a half week vacation in New York and Florida in May and immediately found myself being asked to review a clutch of new albums by bands I’d mostly never really heard of before with hardly any time between them being commissioned and the print deadline. One of those records was Stay Gold. First Aid Kit are two sisters from Sweden and the press release seemed to lump them in with a folk scene that I am not always comfortable with, so I wasn’t exactly excited about covering this one. Sitting on the train on a sunny, May morning, still feeling jet lagged and wondering why I ever signed up to write the reviews when I was so jaded and missing America, I decided to start with the First Aid Kit album and within seconds – the slide guitar sweep that quickly ushers in the opening track, ‘My Silver Lining’ – I was hooked and alert. Something about the music just talked to me in a way that lots of music never has before and I still can’t put my finger on precisely why; it’s possibly the combination of youthful innocence mixed with a sort of mature worldliness with which First Aid Kit approach their songs that got me, possibly the close harmonies of the two sisters, possibly the stirring quality of the title track ‘Stay Gold’ – I still don’t know, really. What I do know is that a pair of lines on ‘Master Pretender’ – ‘Oh the streets of New York City / Look so pretty from way up here‘ – seemed to capture everything that I missed about New York and tapped into the way I was feeling as I closed the door on an incredible family holiday and went back into an uncertain work life. Toward the end of the year I found myself listening to a lot more female singers – Martha Wainwright, Addie Brownlee and a singer called Natalie Prass, who I was introduced to by the same PR chap that sent me First Aid Kit (thanks Nathan), and whose debut album is really, really impressive; the sort of sound that might see this young singer scale the same heights as one Amy Winehouse did, all soulful sensuality of a style that has – criminally – more or less fallen out of favour. Check out ‘Why Don’t You Believe In Me’ below. Oh, and in the last few days I’ve been playing a Canadian band called Viet Cong whose self-titled debut (out January) made me get all nostalgic for classic Interpol again, even if their debut knocks spots off my beloved New York band’s 2014 El Pintor effort. Wishing all the readers of this blog a very Happy Christmas and a prosperous New Year. Two years on from Oedipus Schmoedipus, As Above So Below added two further, intriguing, twists to Barry Adamson‘s palette of sounds. The first found him using abrasive effects on the saxes and guitars, providing some tracks such as ‘Still I Rise’ and ‘The Monkey Speaks His Mind’ with an aggression that we weren’t hitherto used to hearing from this master of aural emotion. The twist gives the tracks a concise, straight-ahead atmosphere, delivering a short, sharp sonic punch to the senses. Take the opener ‘Can’t Get Loose’ which on some bizarre sounds like Andy Williams’ ‘Music To Watch Girls By’, commencing with some loud, boisterous guitars before moving into a rich easy-listening array of vibes and beats. The second twist was perhaps the most surprising. After all, as the years went by we became used to Adamson reaching out into new musical areas in order to add greater depth to his textural sound design. The latest facet found Adamson actually singing on the majority of the tracks on As Above So Below, rather than using spoken word monologues or employing the skills of vocal collaborators. 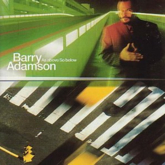 Presented with the concept of Adamson as singer-songwriter, you may be forgiven for expecting the worst; I know I was – the first track I’d heard was ‘Jazz Devil’ on a Vox magazine promo CD, and I expected the whole album to be filled with variations on ‘Jazz Devil’ – namely humorous but kitsch story-telling. As a first foray, Adamson proves himself to be a talented singer, his voice capable of soaring impressively with a controlled emotion (as on the emphatic ‘Come Hell Or High Water’) or dropping down to a warm and confiding whisper. His time spent with Nick Cave obviously paid dividends. The shift toward less instrumental sound design is borne out by the number of vocal tracks, which make up the majority of the album. However, the move toward the singer-songwriter genre has not prompted a move away from the luscious sounds Adamson is renowned for. We still get the jazz, the vibes, the perfect counterpoint string arrangements, the cunning deployment of stoned hip-hop beats, and we still get the wandering basslines and electronic experiments (check out the elongated effects on the intro to ‘Jesus Wept’). His cover of Suicide‘s ‘Girl’ is outstanding, more akin to his remix work with its intricate synth clusters and cracked metronomic drum machine rhythm, pushing his sound design into glitch-electronica territory. An interesting and impressive move forward, As Above So Below had one major problem – its completeness and tightness actually casts a long shadow over its predecessor, Oedipus Schmoedipus. That’s not to take away the earlier album’s achievements, however that album now sounds somewhat ramshackle and inconsistent when heard immediately before this. 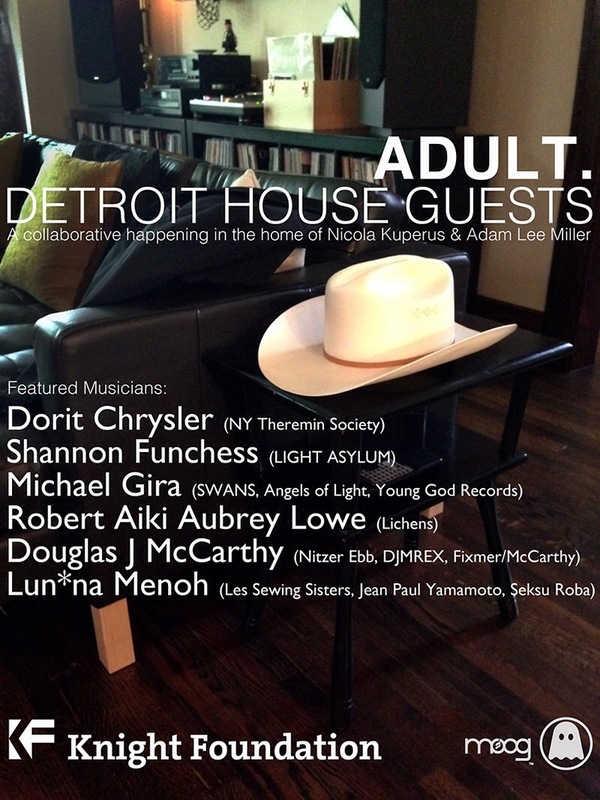 For Detroit House Guests, Kuperus and Adam Lee Miller will invite collaborators into their homes as guests while they record with them. Think of the collaborators as lodgers paying their board with creativity rather than cash. The six collaborators that will work with the duo over the next seven months will be Dorit Chrysler (NY Theremin Society), Shannon Funchess (LIGHT ASYLUM), Michael Gira (SWANS, Angels of Light, Young God Records), Robert Aiki Aubrey Lowe (Lichens), Douglas J. McCarthy (Nitzer Ebb, DJMREX, Fixmer/McCarthy) and Lun*na Menoh (Les Sewing Sisters, Jean Paul Yamamoto, Seksu Roba). The duo will also provide unmitigated access to the collaborative process through various social media outlets, effectively allowing both collaborator and the public access to their Detroit abode. The resulting Detroit House Guests album will be released on the consistently fascinating Ghostly International label. The project is supported by the John S. and James L. Knight Foundation. Listen to Nicola Kuperus describing her aspirations for the project via the video message below. ADULT. Detroit House Guests from ADULT. on Vimeo.